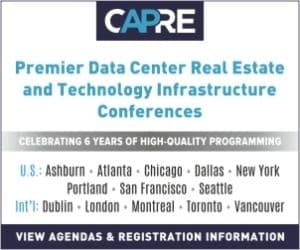 CAPRE MEDIA | CAPRE EVENTS > Conference Coverage > Dallas > When Does the Clock Start to Deliver a Data Center? When Does the Clock Start to Deliver a Data Center? DALLAS, TX – Sometimes a topic is so pervasive, so salient, that it goes from being a frequent theme to a staple panel. Exhibit A, a new, but long-expected panel at CapRE’s Sixth Annual Dallas Data Center Summit, The Speed of New Construction: What are Real and Fake Timeframes to Delivering New Product in the Great State of Texas? To much avail, this panel blew the roof off of that topic. Below is a transcription of part of that conversation. Moderator Cary Frame, Chief Executive Officer, Polargy: We hear about this every time we come to a CapRE event – the speed of construction and the tremendous time pressure that we’re under. So, there is something driving that, and that’s the customer…why do customers need this done so fast? Kirk, you’re kind of on the front end as well. Kirk Killian, President, Partners National Mission Critical Facilities: Sure, and I think Ali [Greenwood, Senior Vice President – Data Center Solutions, Jones Lang LaSalle] covered a lot of that very well. I think the proliferation of new technologies throughout almost any industry out there has done a couple of things in particular. It has raised customer expectations for those data centers, but it has also reassured them of the timeline. What used to be maybe a six month decision, well, I need it done in three months. That is just the nature of a “get it done yesterday” type of society. And that is something we have to deal with as a facility provider. Frame: So let’s shift to when the clock starts, right? Which typically might be entitlement. I’ll ask Brion to talk a little bit about the front end of the construction process. Brion Sargent, Regional Practice Leader – Mission Critical, Gensler: There are multiple clocks. The clock starts before the clock starts. It’s usually somewhere in the corporate realm. Where it starts for us? an important part that I think is missing from the process is educated site selection. Chris, I’d like to throw it to you because I think you guys do a great job with site selection. 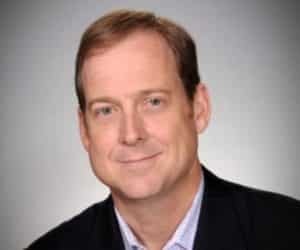 Chris Curtis, SVP Acquisition & Development, Compass Datacenters: Well a couple of things on that. Speed, first of all, is now table-stakes. Several of us have done it so often now that the customer expects of it. Second of all, the demand is out here. the tricky part is predicting the demand signal. Where is it going to come? Even the big guys don’t really necessarily know. Or the banks. It’s hard to plan. But once they get the demand signal, these are big guys. It takes awhile to get through the process internally to get the project approved. Once they get the demand signal, they need it yesterday. So when does the process start? If you’re a wholesale data center provider, like ourselves, yeah, there are multiple clocks. The clock starts even before the customer decision. We have to help to try to predict where they want to be, when do they want to be there, and then go choose those sites. We still have those enterprise customers, no question. But those same challenges from entitlement and time frames exist. And then when the larger customers, the hyperscalers, you need a lot of elbow room. So you need a lot of things that take a lot more entitlement and a lot more time. Whether it is fiber, whether it is power, whether it’s permitting a place that doesn’t understand data centers, all these sorts of issues. So you have to figure out how far you are willing to take that to be ready for a customer and is that data center ready land? Is it a building? What is it? if it’s a building you better pick the right spot. So that is kind of when the clock starts. But that combined with ordering equipment, there is a lot of things, long lead time things, that are kind of the iceberg under the ocean if you will, before you ever get to a data center. For more from this panel, check out an earlier CapRE Insider Report: Why Do Customers Need Data Centers Built so Fast?